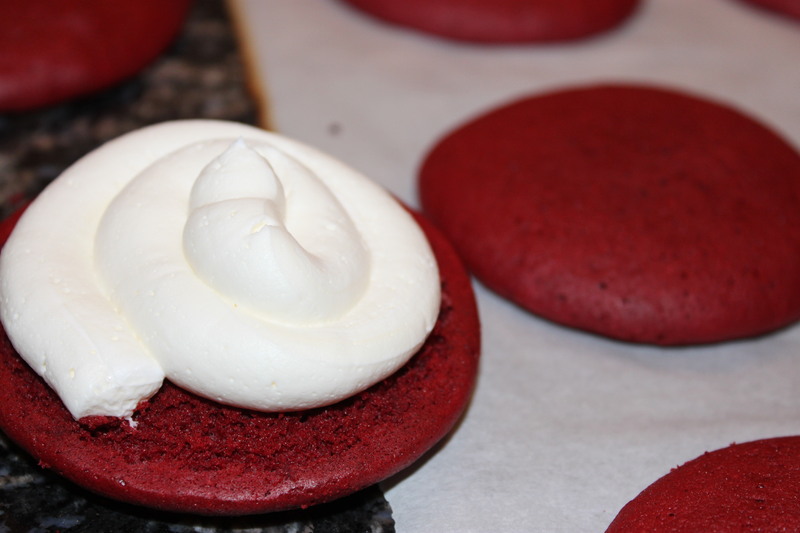 For Valentine’s Day, I wanted to make something sweet and something red. 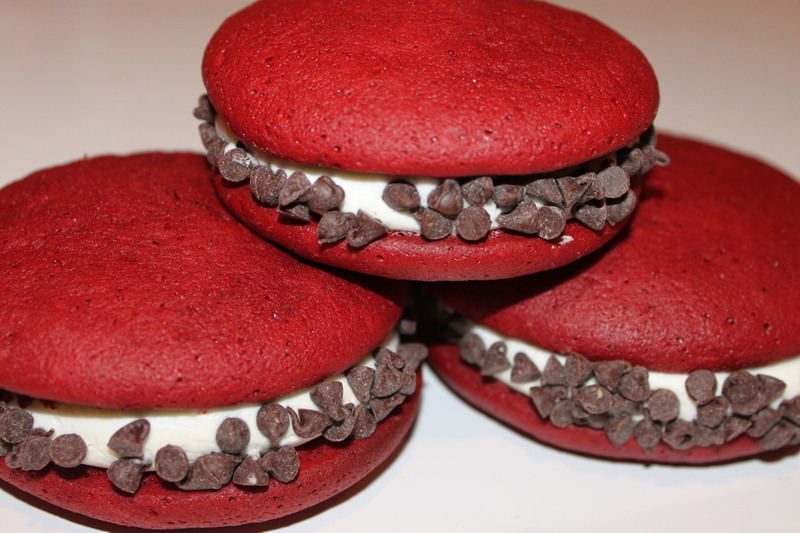 I saw the recipe for these red velvet whoopie pies (made with a cake mix!) and I was sold. But the filling. Oh, the filling. It was to-die-for. I will be using it again as a frosting for cakes. SO GOOD! Preheat your oven to 400. Combine the combine cake mix, eggs, water and oil and mix well. 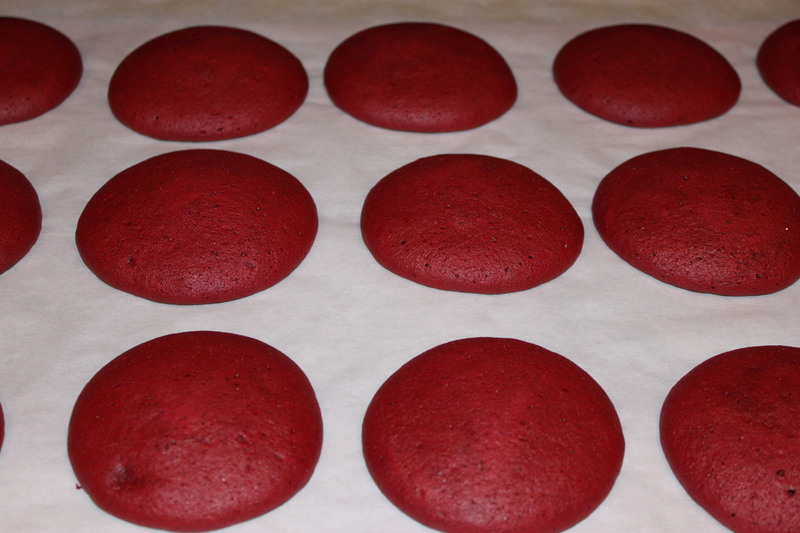 Drop equal scoops of dough onto your parchment lined cookie sheet. 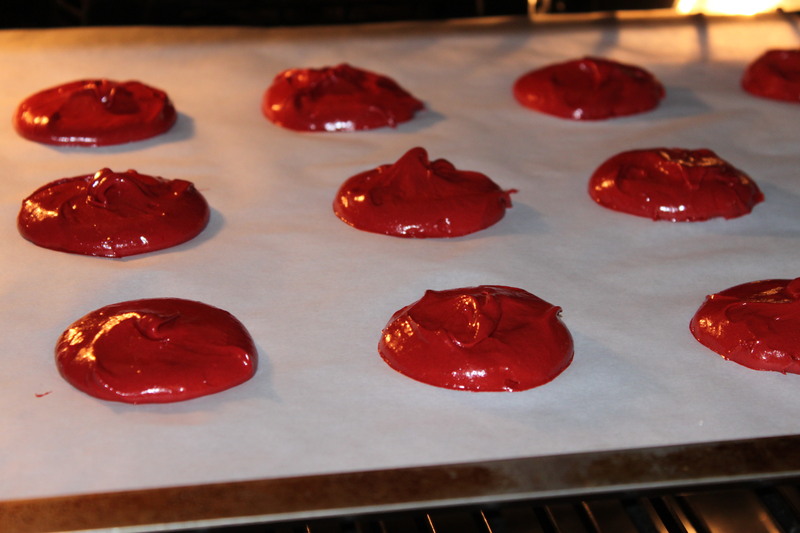 I used the PC medium scoop, which is about two tablespoons. While your pies are baking and cooling, combine the butter, marshmallow fluff, and powdered sugar and beat well – until light and fluffy. You could add a dash of vanilla extract, but you don’t need it – it’s delicious with just those three ingredients! Spoon your filling into a ziploc bag and pipe onto one side of your pie. 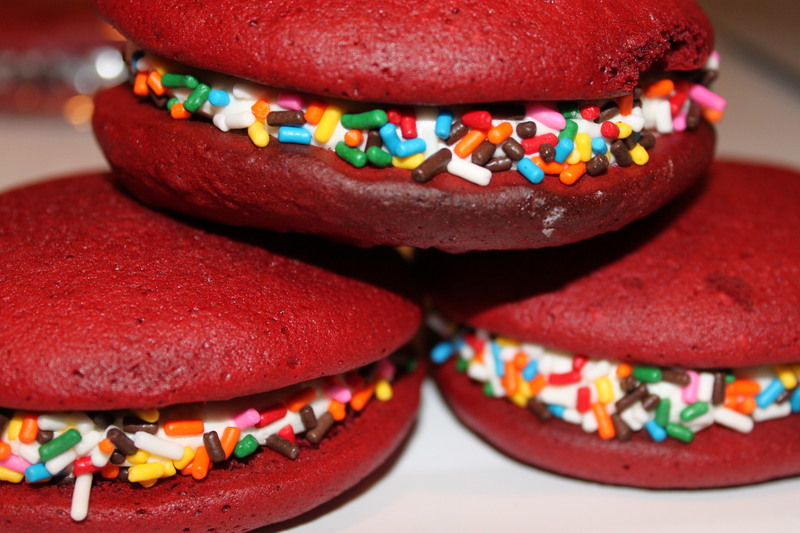 Roll the whoopie pies into either mini chocolate chips or sprinkles – and you’re done!